Let's have some fun on this hump day. 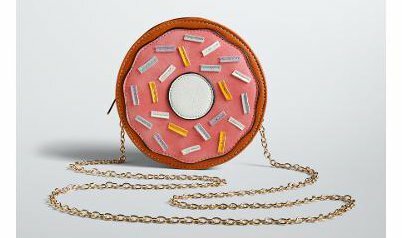 Quirky and sassy bags that don't fit into your cross body, tote, bucket bag, and other standard categories. These bags have takes on a shape of their own. Let me explain. Do we love this? I love this. 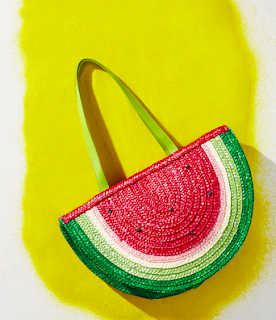 So adorable and vacation-ready. Thank goodness for Betsey, she always makes me smile. 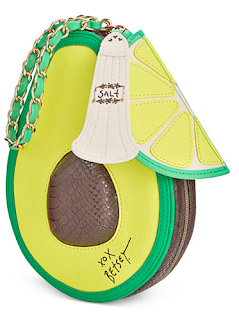 Notice the extras on this bag? Holy guacamole. How can this bag not make you happy? The sprinkles? Come on. 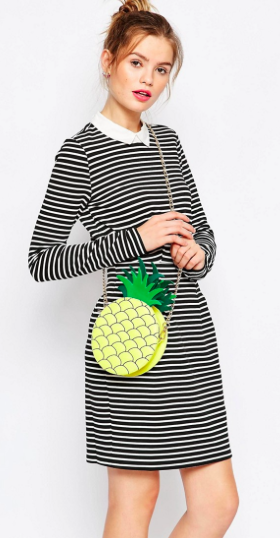 Picture this bag against white jeans. It's going to pop! 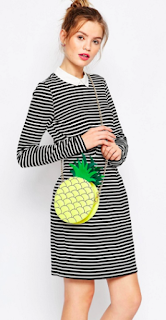 Having some fun with your summer bags is easy when shapes and sizes are cheeky and playful. I love these bags for brunch, a wedding, or a night out with the ladies. Make it your own.